I asked him about the failure to follow the recommendations of the scientific committee report—most of whose authors had been his mentors. Why, I asked, were periodic radiation measurements not being conducted? “It is an old story,” he said. “Don’t ask me anything about it. Don’t dig it up.” Instead, for most of the hour-long meeting he attempted to provide alternative story ideas about nuclear energy that he felt would make for better—or less politically damaging—articles. The problem with a messy, unresolved 45-year-old nuclear story is that after one or two generations of scientists have considered the situation and moved on, the files have been declared closed: there is no hope that anyone will demonstrate the will to reopen the investigation. A scientist today who tries to take up the recommendations of Desai’s committee faces massive risks and no rewards; the government considers the matter dead, and there are no prizes for opening and then closing a case that everyone has agreed to ignore. As far as the nuclear scientists are concerned, the generator is buried, and it doesn’t matter where. But glaciologists disagree. Unlike the deserts in Rajasthan where India’s nuclear tests were conducted, the Himalayan glaciers are not standing still. They move. The Nanda Devi glacier, in fact, travels a few centimetres every year. “It is the sudden surges that you need to be afraid of,” said Dr Milap Chand Sharma, one of the very few glaciologists to have studied Nanda Devi. Glaciology remains a nascent discipline in India, and there are only a handful of experts in the country today. As I searched for a specialist on the Nanda Devi glacier, I was inevitably told to contact Dr Sharma, a professor at Delhi’s Jawaharlal Nehru University, who admits he only began studying Nanda Devi recently. 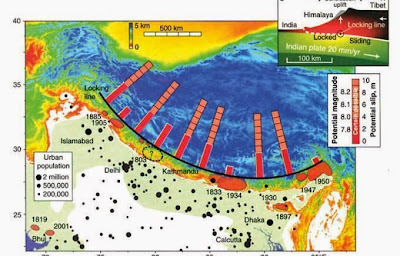 The contrast between the deserts of Rajasthan and the Himalayan glaciers is even more dramatic from a seismic point of view: not only do these glaciers move, they are located in an area with a history of earthquakes and tremors. 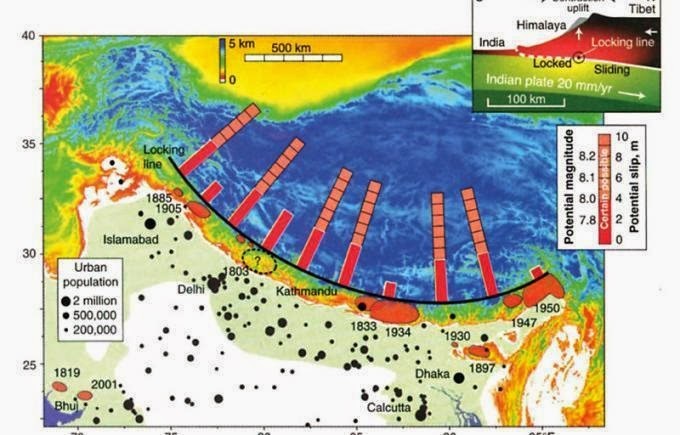 Over centuries immense pressure has built up along the underground faults beneath the front ranges of the Himalayas, and one or more earthquakes will occur in India in the near future… The data indicate that the slip zone located about 12 kilometres underground between the Indian and Asian plates is comprised of hot, steam-like fluid. The temperature, pressure and the amount of fluids affect the entire seismic system. But such complications are unwelcome news to the nuclear technocrats who advise the government today. Their approach is resolutely single-minded, and they have no interest in the insights provided by seismologists and glaciologists. They refuse to believe that the missing nuclear device, which they insist is buried, could ever resurface.